It’s official: the US government has now confessed to having intentionally and premeditatedly killed at least 2,372 persons in places where US force protection was not the reason for the acts of homicide. They also admit to having unintentionally killed at least another 64 persons who were doing nothing other than going about their lives in their civil societies. These are remarkable admissions. Why? Because the approximately 2,400 acts of homicide are openly and unselfconsciously acknowledged to have taken place not where the lives of US military personnel or other citizens were at stake, but “Outside Areas of Active Hostilities”. Persons killed “Outside Areas of Active Hostilities” were living in places which were not war zones. There were no “active hostilities” underway. The targets slain by lethal drones in such places were not directly threatening any other human being with death at the moment when they were killed. The more than 2,400 recently confessed homicides were committed in the victims’ civil societies. In other words, the stalking and hunting down of these people constituted acts of assassination, not acts of war. These were extrajudicial executions, authorized by the US president in the name of national self-defense. The equivocation between criminals and soldiers began under the Bush administration, which waged full-scale wars on Afghanistan and Iraq in response to the crimes of September 11, 2001, instigated by a relatively small group of persons most of whom hailed from Saudi Arabia, which strangely (or not) received a “get out of jail free” pass from the US government. 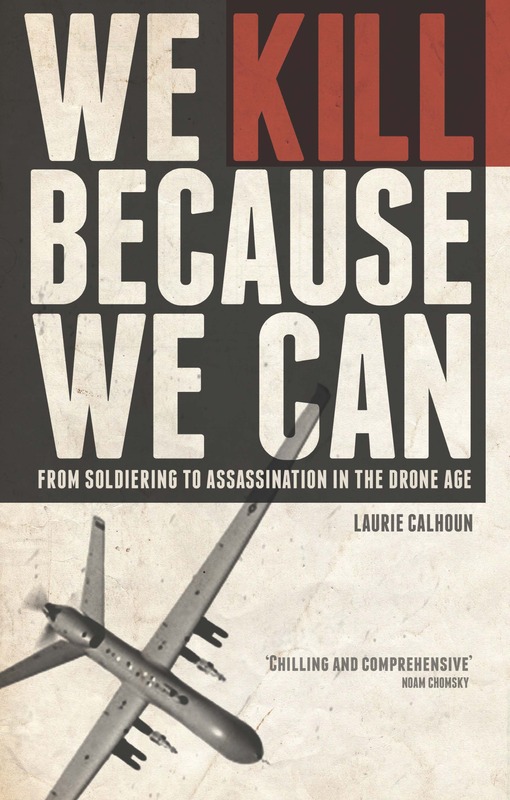 In the case of the targeted killing program using lethal drones, the US government under Obama also wishes to have it both ways, treating the targets as convicted criminals whose just desert is death, while simultaneously invoking Article 51 of the United Nations Charter and a state’s “inherent right to self defense” as the reason for killing all of these people, with the innocents written off as “collateral damage”. The persons reported on in the July 1, 2016, document were killed between January 20, 2009, and December 31, 2015, and resided in remote territories of tribal regions in Yemen, Somalia, Pakistan, Libya, and possibly other places as well—the countries are not named because the homicides perpetrated outside of active war zones are being carried out under the authority of the CIA, not the Pentagon, and so count as covert operations. We will admit to having killed these people, but we won’t tell you who they were, when they were killed, or why (beyond the fact that we have decided that they were enemies of the state). All of that sort of information is classified. Just trust us, we know what we’re doing. Even if the US government somehow became willing to divulge the names of their targets, it turns out that most of the names are not known anyway. The question, therefore, must be posed: How did the US government know that they were terrorists? The answer, I regret to say, is: They did not. The victims were all suspected terrorists, just like the persons interned at Guantánamo Bay prison in Cuba, 86% of whom were later determined to have had no connections to terrorist groups. They may have looked like terrorists. They may have dressed like terrorists. Their comportment may have matched the “disposition matrix” of behaviors typical of terrorists—carrying weapons, wearing turbans, hollering out in anger at the invaders of their land—but most of those men, incarcerated under the authority of President George W. Bush, were not terrorists at all. They were suspects who turned out to be innocent. The Obama administration’s manner of dealing with persons suspected of complicity with terrorist groups has been summarily to execute them all: “Kill don’t capture” or “Take No Prisoners” is, sad to say, the Obama administration’s signature foreign policy initiative. Once the persons killed by drone strikes are dead, they are categorized as “enemy killed in action”, or EKIA, which we know not from the July 1, 2016, report but from classified US government documents made public by The Intercept thanks to a whistleblower. It is impossible to overemphasize the importance of this fact, so let me reiterate it as plainly as I can: The persons killed by Obama “Outside Areas of Active Hostilities” have precisely the same status as the persons imprisoned at Guantánamo Bay. Obama’s terrorist suspects have been executed rather than rendered to secret torture facilities and held without charges for many years, but that certainly does not imply that they were guilty. Instead, it implies that Obama has committed war crimes. He has executed thousands of human beings on suspicion of their potential for possible complicity in future possible terrorist plots. When will the Obama apologists finally open their eyes to the atrocities committed by him in their name? I have long been disturbed by the New York Times’ coverage of the drone campaigns. Particularly appalling was the President-as-Godfather feature published on May 29, 2012. Many conservative pundits have complained that the so-called “liberal” newspaper serves as a mouthpiece for the current administration, which is shameful in and of itself. But how and why did the New York Times become an organ of state-funded propaganda? Whatever happened to fact-based, interest-free, objective journalism? That was the title of the ghastly 2012 feature extolling the virtues of “Terror Tuesdays”, with Obama and his fellow “kill committee” members deciding the fate of human beings located on the other side of the planet. I found the title especially egregious in view of the fact that many readers only scan headlines, automatically digesting them as “news”. To depict as honorable Obama’s handwringing over whether to order strikes against suspects (better known in nongovernmental organized crime as “hits”) in violation of the UN Charter, the Geneva Conventions, the Universal Declaration of Human Rights, and even the US Constitution, struck me as a very sorry reflection of the state of the mainstream media in the United States. In yesterday’s Sunday edition, the New York Times published yet another pro-lethal drone piece, this time an op-ed by former CIA director and seasoned killer Michael Hayden. Bear in mind that, while serving as the head of the CIA, Hayden authorized 48 drone strikes resulting in 532 deaths, at least 144 known to be civilians. Those abysmal statistics, like all mass media reports of what transpires in the drone campaigns, ignore altogether the nonlethal harm to the survivors, both the psychological trauma and the physical maiming. The title of the op-ed? Many Americans may be inclined to sympathize with US administrators who have killed so many people, including obviously innocent civilians, while attempting to keep the homeland safe. Officials such as Michael Hayden certainly have psychological and emotional reasons to convince themselves that what they have done is right—if only in order to be able to sleep at night. But before automatically according interpretive charity to cheerleader-for-assassination Hayden, it is essential for any reader of his propaganda piece to know that he now profits from the drone killing campaigns as a principal or board member of a few different drone program-affiliated companies. Hayden boldly asserts that we should all support drone killing because it keeps us safe, but he offers absolutely no evidence to substantiate that claim. He briefly alludes to, but then chooses to forget, some of the criticisms aired by book authors, human rights organizations, the United Nations special rapporteurs on extrajudicial execution, former drone operators, and the government’s own commissioned Stimson Center report. Don’t drone strikes create more terrorists than they destroy? What will the world be like when China, Russia, and every other country on the planet begin dispatching their avowed enemies through the use of lethal drones wherever and whenever they please? Hayden here simply assumes what the title of the op-ed suggests that the author will set out to prove. In logic, the fallacy is known as “begging the question”, assuming as a premise the conclusion at which one wishes to arrive. Since he brought up the topic of legality, it’s worth pointing out what Hayden omits, that the experts on extrajudicial execution at the United Nations have repeatedly expressed concern that the US drone campaigns violate international law. But this is not a mere case of “he said, she said.” There are laws, they are written in words, and words have meanings. To redefine “imminent threat” as no longer requiring “immediacy”, as was done in the US Department of Justice White Paper, is to indulge in Orwellian newspeak, no more and no less. Those techno acronyms, HUMINT and SIGINT, may impress the untutored masses, but what do they mean in the vernacular? Bribed hearsay and circumstantial evidence. These forms of intelligence are being used exhaustively and exclusively as the basis for strikes which end human beings’ lives. Oh well, what’s wrong with a little bribery and circumstantial evidence among friends? Especially when the targets in question are suspected of terrorism! Every educated person alive should know by now that, throughout history, desperate and/or amoral, mercenary people offered generous bribes to surrender “bad guys” have been ready and willing to rat on their personal enemies or even hand over randomly selected and entirely innocent people. In the Drone Age, it suffices for those “suspects” to be located in a “hostile” territory, that is, somewhere which can plausibly be interpreted as a terrorist safe haven. Recall that 86% of the detainees at Guantánamo Bay prison were found, years after having been locked away without indictment, to be entirely innocent. They were turned over to US officials by mercenary bounty hunters, aka bribed informants. 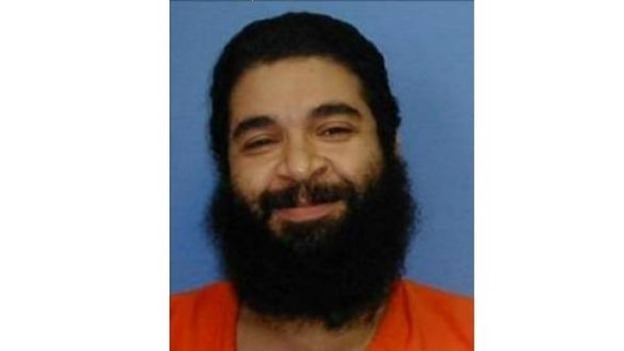 Under Obama’s bloody “kill don’t capture” watch, innocent men just like Shaker Aamer, who was finally released after years of deprivation and torture, are instead summarily executed. All of the military-age men killed under Obama’s authority have been defined as guilty until proven innocent, as though we had not already learned from Guantánamo Bay prison how preposterous and deeply unjust such an assumption can be. Is this mere stupidity? Or is it time to admit that the killing machine is intrinsically evil? What does that even mean? If the people being killed are of unknown identity, then how in the world can knowledge of them be “encyclopedic”? Pretending to acknowledge, while never truly answering, such criticisms is all part of the marketing blurb not only for Hayden’s forthcoming book, but also for the tools and analysis used in drone killing. We are supposed to conclude on the basis of this “reasoned” defense, that more and more drones and missiles should be produced, and more and more operators trained to fire them. Which means that more and more analysis will be needed to locate suitable targets. Enter The Cherthoff Group, of which Hayden is a principal. According to Micah Zenko at the Council on Foreign Relations, Hayden also serves on the board of directors at Alion Science and Technology, Motorola Solutions, and Mike Baker International, all of which appear to enjoy Pentagon contracts relating to drone warfare. Zenko rightly points out the deception involved in penning an op-ed using the credential of having served as the director of the CIA, without also acknowledging the financial interests the author has in promoting drone killing. What Hayden has written is sophistry, pure and simple. Even worse, it is to promote a policy which has never been publicly debated by the people paying for the practice. Any serious consideration of the situation in the Middle East by persons who do not stand to profit from drone killing can only conclude that the range of covert operations instigated under the administrations of George W. Bush and Barack Obama have failed miserably, not only morally but also politically. Americans and other Westerners are not being kept safe by policies which lead to the endless sporing of terrorist groups over ever-greater expanses of land. Who cares if the CIA eliminated most of what they claim to have been the “high value” targets of the Al Qaeda brand of extremist jihadism? Now we have ISIS. War on Terror? War on Truth. Shortly after the terrorist attacks of September 11, 2001, US President George W. Bush proclaimed that “We are at war,” and we have been at war ever since. The world’s most powerful military was not apt to the task of bringing the perpetrators to justice, as evidenced by the fact that it took nearly a decade to apprehend the man believed to be behind the attacks, Osama bin Laden. Meanwhile, hundreds of thousands of persons were slaughtered, most of whom were innocent. Thousands of others were detained without charges and mistreated in a variety of appalling ways. Millions were driven to leave their native lands, and the refugees of war-torn countries continue to flow out in a steady stream, as peace-loving people quite rationally attempt to defend themselves from the arbitrary termination of their lives by warriors of all stripes. How could all of this murder and mayhem have been avoided? It’s sad to say, but if the US war makers had only listened to Osama bin Laden when he complained about the aftermath of the 1991 Gulf War, which led to the deaths of hundreds of thousands of civilians, many of whom were children, then they would have recognized that the worst possible response to 9/11 was to attack Iraq all over again. Stating the facts decried by Osama bin Laden is in no way to condone his response to them. It is to acknowledge the source of his “shock and awe” retaliation campaign, perpetrated by jihadists outraged by US military policies abroad. Undeterred by the dictates of rationality, George W. Bush waged an outright war of aggression on the already suffering people of Iraq. The Iraqis had been living under a dictator empowered by the US government during the eight-year Iran-Iraq war, but their conditions were rendered considerably more miserable by the bombing of water treatment facilities by the US military in 1991. The subsequently imposed international sanctions prevented access to materials needed to purify the drinking water, and also medications needed to address the diseases caused by the lack of clean water. Remarkably, when Barack Obama became president, he awarded a Congressional Medal of Honor to George H.W. Bush, whose 1991 Gulf War led directly to the blowback attack of 9/11. During the occupation of Iraq, the poor policies of US government officials, including the dismissal of the Iraqi army and the blacklisting of Ba’ath party members, produced thousands of angry insurgents, who vowed to expel the invaders. Rather than admit that the strategies were not working, the occupiers doubled down with surges, more JSOC raids, more missile strikes, and more privately contracted “security forces”, some of whom behaved quite scandalously. Another grievance aired by Bin Laden was the establishment of military bases in Muslim lands such as Saudi Arabia. Obama has dramatically increased the number of drone stations from which deadly sorties are launched, and continues to deliver Hellfire missiles to an ever-lengthening list of countries in a zealous effort to eliminate an ever-lengthening list of targets in his “war without borders”. Under President Obama, who had campaigned on an anti-preemptive war platform, drone killing in lands where war was never formally waged came to be viewed as a standard operating procedure for dealing with suspected terrorists, wherever they may be said by a bribed informant to hide. US citizen Anwar al-Awlaki, once a moderate Islamist cleric, was radicalized in the years after 9/11, coming to advocate jihad in response to what he regarded as war crimes committed against his brethren. Again, Al-Awlaki was right that the US government slaughtered many Muslims who never threatened any US national in the least. Al-Awlaki was himself harassed by the US government, and he was thrown into jail for more than a year in Yemen, without charges, at the request of the US government. After that, he was released, hunted down and summarily executed. In addition to slaughtering Muslims, “We tortured some folks,” as President Obama put it. Unfortunately, the ever-charitable Obama opted not to prosecute the torturers, seemingly on the grounds that their misguided tactics were intended to keep the US homeland safe. They meant to do the right thing! They were just confused about the best way of going about doing that. In fact, the means used by the warriors post-9/11 had exactly the opposite of the intended effect, causing a massive mobilization of jihadists in response—including the creation of new groups such as ISIS and AQAP, and a renewal and expansion of interest in radical Islam in countries such as Yemen and Somalia, where its presence had been minor—before US intervention. The torturers and invaders and orchestrators of covert ops of many kinds undeniably endangered the citizens who funded the many initiatives, as should have been obvious from the global response to the crimes at Abu Ghraib prison. As a matter of fact, the Pentagon has taken great pains to withhold thousands of the ghastly photos taken of abused prisoners, on the grounds that they may endanger American lives. QED. These gross mistakes have obviously made Westerners vulnerable to retaliation and revenge attacks, yet the failures were not viewed as grounds for dismissing those responsible, many of whom were retained by Obama in his not-so-new administration. Most notably, John Brennan, who condoned torture during the Bush administration, became Obama’s closest counterterrorism advisor. Two months later, Brennan was issuing a public apology for the CIA’s having done precisely what it had been accused of doing. So which is it: is Brennan a pathological liar, or is he flagrantly incompetent? According to Gregory Johnsen, the author of The Last Refuge: Yemen, Al-Qaeda, and America’s War in Arabia (2013), it was none other than John Brennan’s “theory” that Anwar Al-Awlaki was the operational leader of AQAP. We have never been provided with any of the alleged evidence of his guilt in actually perpetrating violent acts—as opposed to inspiring or inciting them. Talk about specious reasoning. Indeed, precisely the sort one would expect to issue from the mouths of torture advocates and graduates of the fact-challenged George W. Bush School of Strategy. The New York Times serves here, as so often, as a megaphone for officials of the US government. This call for censorship is a frightening development, and surprising even for a government which redefined terms in truly Orwellian ways in order to legalize “targeted killing” against “imminent threats” which are said not to imply immediacy. How would preventing people from knowing what Al-Awlaki said protect the people of the United States? Obviously it would not. Censorship serves the purpose, instead, of shielding people from the truth, in this case, that there may indeed be a substantive answer, grounded in historical fact, to the question: Why do they hate us? If words spoken by people about crimes inspired young people to undertake jihad, then would that not imply that Shaker Aamer, who has been talking openly about the abuse which he endured while imprisoned for years without charges at Guantánamo Bay, should be silenced as well? Jeremy Scahill, the author of Dirty Wars (2013), has also chronicled US war crimes and examines the case of Anwar al-Awlaki quite closely. Should Scahill be censored? What about the brave drone operators who have stepped forward to denounce what they were persuaded to do and now deeply regret? Will such persons, who dare to share the grisly news about what the US government has been up to, be next in line for censorship? As a matter of fact, former drone sensor Brandon Bryant has revealed in social media that some of his interviews have already been removed from the internet. There are plenty of recipes around for making bombs, and no one needs the words of Anwar Al-Awlaki to be incited to jihad. What radicalizes young men and women are not calls for homicide in the name of justice—for that they have the clear and ever-present example of the US government’s various killing campaigns. If both Osama bin Laden and Anwar Al-Awlaki were radicalized by US war crimes, then the only way to prevent the radicalization of other people just like them will be for the offending actions to stop. Without halting the bombing which drives young people to seek retaliation, the tide of angry jihadists will never come to end. The persons being slaughtered are becoming younger and younger, as “high value” targets are destroyed and replaced in some cases by persons who have known nothing but war for most or all of their lives. The perverse insistence upon annihilating brown-skinned persons for their future potential to commit future possible crimes is no more and no less than a recipe for genocide. Regardless of whether Americans remain in a blithe state of ignorance about what is being done in their name, the people at the receiving end of missiles know very well what is being done, and some of them, like the perpetrators of the crimes of 9/11, vow to seek revenge. Since the 1991 Gulf War, Muslims in lands far away, beginning with Iraq, have been treated as though they had no rights whatsoever. They have been systematically slaughtered at the caprice of US warmakers. Under Obama, suspects are denied even the opportunity to surrender. Nothing should be more obvious than that we cannot continue to do the same things over and over again, and then expect men such as Osama bin Laden not to emerge from the ashes left behind by US missiles and bombs. There has been an exciting flurry of activism surrounding the impending release of Shaker Aamer, a former British resident mistakenly imprisoned at Guantánamo Bay way back in 2001 and detained ever since, even after having been cleared for release years ago and on multiple occasions. Vigils have been held in the hopes that the US and British governments will follow through with the announced release of Mr. Aamer. Not all of the detainees in Aamer’s circumstances have survived. Some of them died in prison. These people, denigrated by Bush administration officials such as Secretary of Defense Donald Rumsfeld as “the worst of the worst”, had been rounded up by bounty hunters in exchange for large sums of cash. Is it tautological to state that “bounty hunters” are invariably mercenaries, motivated first and foremost by the prospect of financial gain? Those who defend the US government’s various efforts as well-intended, if not always obviously effective, may reply: How else can suspects be fingered in lands where the people speak a different language than the only one spoken by most soldiers and intelligence agents? Are we not ultimately dependent upon such mercenaries to provide essential information about threats and crimes? Certainly bribed informants have continued to play a key role in the selection of terrorist suspects under President Barack Obama. Unfortunately, an important component of Obama’s approach to counterterrorism has been to “kill don’t capture” the suspects. If Shaker Aamer had been pegged as a terrorist suspect in 2011, rather than 2001, it grieves me to say, he would now be dead. We must, therefore, ask: How many of the military-age male targets located in areas thousands of miles away (from US soil), in territories deemed “hostile” by the US government, have been closer to Shaker Aamer than to Osama bin Laden? I’d venture to say that a good number of them, about the same proportion of the detainees held erroneously at Guantánamo Bay, have been innocent. The percentage of “the worst of the worst” who ended up being altogether innocent was a frightening 86%. Even if the Obama administration has been “more careful” in selecting named targets than the previous administration (which was fighting two wars in two different countries simultaneously), the identification of targets in “signature strikes”, against unnamed suspects, has also depended crucially upon the testimony and collaboration of bribed informants on the ground. Given that the source of human intelligence (HUMINT) remains the same–bribery–we have rational grounds for concluding that many men morally equivalent to Shaker Aamer who were pegged as “suspected terrorists”—or militants or insurgents (these categories have been persistently conflated throughout four US administrations)—have been innocent. So while we celebrate the release of Shaker Aamer, we should at the same time pause to mourn the men killed on the basis of hearsay and circumstantial evidence in misguided attempts to persuade the people paying for the deaths that they are being kept safe and that justice is being served. Nothing could be further from the truth.